When it comes to beauty products, many of us know how to create the perfect smoky eye, contour like no one else, and apply the most flawless foundation application. However, no matter how much of a pro we are, many of us still struggle with false lashes. Perhaps it’s applying them, or maybe it’s with choosing the right ones. No matter what it is, we’re here to help! 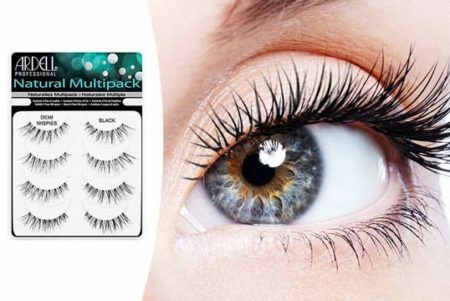 We have all the best false lashes right here for you to choose from! What are you waiting for? Now that you’ve taken a quick overview of each of the best false eyelashes, you’re probably interested in learning more about a few of them! Take a scroll down a bit further, where you’ll find in-depth, unbiased reviews of each one! If you have no idea how to put on false eyelashes, or just don’t want to spend the time and patience trying to apply them every single time, then there are solutions! Sure, you could go ahead and get lash extensions, but those are more expensive and have to be refilled each month. 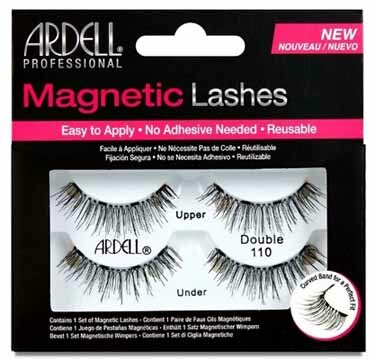 Or, you could go the easier way, and get Ardell’s Double 110 Magnetic Lashes. Okay, so magnetic lashes don’t sound that much easier to apply, so we were a bit hesitant, at first. However, the fact that the lashes looked so natural on others while enhancing their eyes convinced us to try them out. While previous magnetic lashes cost quite a bit of money, these are now available at just about any drugstore for a steal. They even come in full strips and accents. While it was a bit difficult for us to perfectly line up the strip to the shape of our eyes the first time, once you get that first one on, the lower one will snap right on. After the first couple of applications, it becomes much easier to apply. The great thing is, you can try and try again, as you’re not dealing with sticky glue or risk pulling your eyelashes out! Rather than feeling so dramatic and heavy like we’ve become accustomed to with false lashes, these are very lightweight and just feel as if they’re a natural compliment to whatever you’ve already got going on. 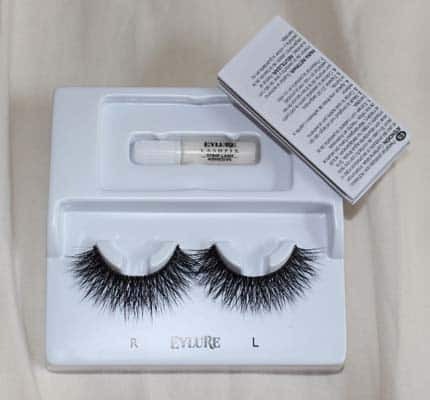 We also love the fact that the lashes are made of 100% human hair, so no animals were involved at all. They can also be reused over and over if taken care of properly, so it’s quite the investment! We know, you’re probably thinking, “Ardell, again?!”. We get it! However, we know a good false eyelash brand when we see one, and they produce some great lashes. Next up, we have their Wispies, which is a favorite of celebrities and pretty much just anyone who’s ever tried them on. The lashes have a medium volume and length, which gives a very natural feel and look. 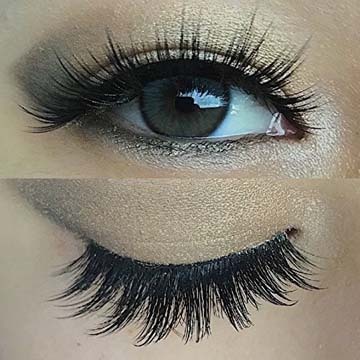 They’re actually called “wispies” due to the wispy effect the various lash lengths create, making it simpler to blend in naturally with your actual lashes. Once you have the lashes in your hands, you can tell that they’re one of the best strip lashes out there. They’re very high-quality, handmade, yet very lightweight, so it doesn’t feel like your eyelids are being weighed down, or really like you’re wearing any at all. They’re even feathered by hand, so you can rest assured knowing they’ll look great! 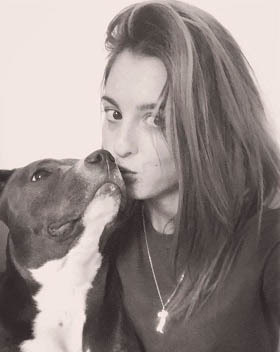 They do last a few applications, as well, so if you take good care of them, you can be sure that these are a wonderful investment. Yes! They don’t come with their own glue, so you do have to purchase one on your own. It’s nice, because you can select one that actually works for you and that you like, but it is an extra expense. Other than that, you’re getting some great lashes from one of the best brand of false eyelashes in the world! 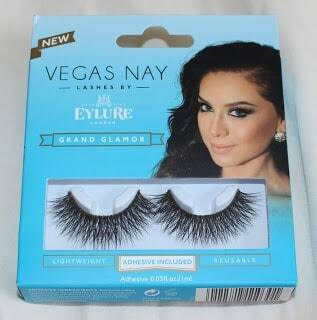 If you’re into false lashes at all, then there’s a pretty good chance that you’ve already heard of the Vegas Nay Lashes Glamour model. They’re one of the best if you want to go glam for a certain event, and completely make your eyes pop! Vegas Nay is an extremely popular makeup artist on Instagram, and came together with Eylure to do a series of lash collaborations. Their Grand Glamour version is very similar to the Koko Lashes or House of Lashes style, and looks ultra luxurious. The packaging isn’t the best, but it’s okay. It’s a bit bulky, and has a photo of Vegas Nay on the front, with a little window to see the product. On the back, there are clear instructions on how to apply the lashes, which we did like. You obviously get the lashes, along with a lash glue, and an instruction pamphlet. It’s nice that it comes with a lash glue, since you don’t have to spend more money, but you may prefer a different one. For us, it wasn’t bad at all; it did the job and wasn’t hard to remove and stayed on well, but it does take a while to get tacky. Speaking of application, how did they apply? They’re super simple and easy to apply. 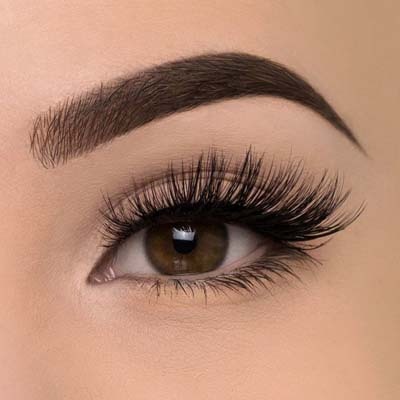 The lashes have a medium thickness band which does require some bending and working to make it more flexible so it can more easily go along with your eye shape. We applied our own glue and waited about 20 seconds before actually placing them along our lash line to give it a bit more tackiness and to help avoid any glue getting in the lashes/eyes. Each stayed on for around 8-10 hours without feeling like they were coming loose, so that was good. They did feel a bit heavier than most of the other false lashes on our list here, but it wasn’t too noticeable after the first couple of hours. We weren’t huge fans of how upturned the lashes were, as they kind of got in the way, but if you’re really going for glamor, this is the way to go. Some of the best natural looking false eyelashes out there, are the Icona Lashes. They’re also the first company to offer premium lashes perfect for special occasions just as much as daily wear to school, the office, or lunch. Each pair is handcrafted, making sure that each lash is placed perfectly along the band. They’re each made of 100% cruelty-free synthetic fibers with tapered ends made to flatter any eye shape or size, as well as compliment any makeup look you’ve created. 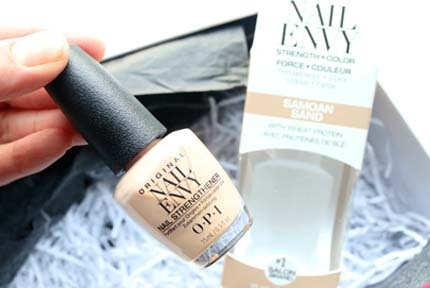 They actually come in 5 different versions, starting at minimal at more natural, to extra glamorous and dramatic! The first one, is Fairy Tale. It’s the most dainty version, and gives just a hint of extra volume. There are varying lengths, so you can choose whichever one works best for you. They’re very lightweight and natural, and will probably forget you’re even wearing them. Love Story is the one we have posted, above. It’s the most universal version, and is perfect for all shapes and sizes of eyes. They can be worn just as easily during the day, as they could at the club. They’re also very comfortable and lightweight. They’re probably the most natural-looking lash out there. Head Over Heels is where things start getting more intense. They feature multiple layers of fluffy curled ends, and vary in length for more density and drama. Happily Ever After features dispersed lengths, density, and multiple layers for more dimensions. It’s intriguing and complicated, yet also so simple. Queen of Hearts is the ruler of glamor! It’s a very rich and full look, ranging in length from medium to maximum, and giving you all of the drama your eyes could ever crave. You can also choose between 4 thoughtful packaging options to give a more personalized touch, whether you’re purchasing for yourself or for someone else as a gift. You can choose between: Signature Packaging, Bridal Packaging, Bridesmaid Packaging, or Bachelorette Packaging. Signature Packaging: the most basic option, yet still has a cute greeting inside. The styles range from very minimal to showy. Bridal Packaging: The Bridal Collection is packaged with the bride’s special day in mind and has a fitting message inside each box. Styles range from minimal to glamorous. Bridesmaid: This is for all of the friends and loved ones of the bride! It also comes with a thoughtful message and packaging. Bachelorette: This package is ready to party along with you! It has a fun message fitting for the last party before you say “I do”! Looking for some gorgeous, glamorous mink lashes without feeling guilty? Then check out the Book of Lashes Sparkle Volume 2 set. They provide high-quality, cruelty-free, gorgeous false lashes! They also come in a book of three sets, so they’re really a wonderful investment, no matter if you’re buying for yourself, or sharing between you and two other people. What do the lashes look like in person? They’re sturdy, yet feature lightweight, fluffy, wispy lashes that perfectly translate over from daytime to nighttime use. Yes, they do provide a more dramatic look, so if you’re wanting something to spice up your normal routine, these will do the trick. They’re not the easiest, but they’re definitely not difficult, in our opinion. We found that we did have to bend and twist the lashes to get them to loosen up enough to feel like they could easily form to the individual shape of our eyes. However, the application process with the glue was very simple. After waiting about 30 seconds for the glue to get more tacky, they stayed on extremely well; for about 8 hours without threatening to loosen up or begin to come off. How do the lashes themselves hold up? They hold up excellently! They’re actually one of the sturdiest pairs of fake lashes we’ve found! These best strip lashes can actually hold up to around 10 uses per set, due to being so durable. The band is very strong, and the individual lash strands don’t easily fall out. 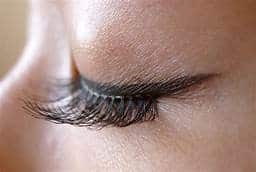 The only thing that could be a downside, would be if you weren’t looking for a dramatic look, but rather a natural enhancement to your already-existing lashes. Now that you’ve had the chance to read through each of the best false eyelashes and learn more about each set, perhaps you’ve already decided on a pair. However, if you haven’t or are still on-the-fence about which ones would be best for you, then this buying guide is exactly what you need! First of all, it’s important to determine which style you’d like. Better yet, it’s good to ask what you’re looking to get from your new false lashes. Are you looking to enhance the lashes you already have and just have a bit of an enhancement to a natural look? 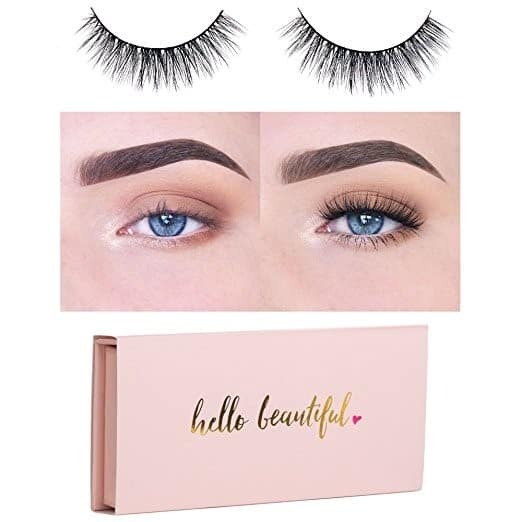 Maybe you’re looking for something for a special event like a wedding or a night out and want something that isn’t quite as short as your natural lashes, but want to look like the length and volume has increased. In that case, the vast majority of the lashes on our list would work for you. Finally, if you’re looking for the ultimate in glamor and drama, then those are plenty available, and we’d recommend one of the last few on the list. You could even go with the Book of Lashes Vol. 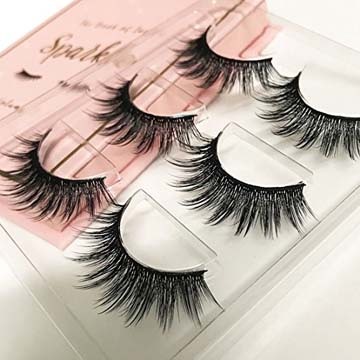 2 book of three sets of lashes, which even have a sparkle aspect to them to increase the drama! If you’ve worn fake lashes before, then you probably already know how crucial wear time is. We all know that feeling of being on a date or in the middle of an event only to wonder if your lashes were halfway hanging off of your eye. A great way to not have to worry about any of that, is to select a pair that will actually stay put. Almost every single one of the lashes on our list will last at least 8 hours, on average. That’s easily an entire work day or night out! Another one of the biggest issues many run into with false lashes, is the application process. We’ve all had glue get into our lashes or eyes or accidentally glued part of the lashes completely weird. What you should look for in lashes, are how bendy they are, first of all. Stiff ones make it difficult to create that natural look where they run along the natural lash line. You want ones that are quite flexible and can easily be manipulated. Ideally, select one with a medium-thickness band that will make it easy to apply glue, will be sturdy, and will also hold up to more wear and tear. Another thing to consider, is magnetic lashes like the first ones on our list. They take a bit of practice to get right, but after that, it’s like riding a bike. Once you have one row on, the other one also just snaps into place! How easy is that? You also don’t have to deal with the messiness of glue. If you’re selecting a great pair of false eyelashes, then ideally, you’d probably want to wear them more than once. Select a pair that you can ideally wear at least 5 times without the quality diminishing. Lashes like the Book of Lashes pairs that we have featured last up to a whopping 10 uses with proper use, so that’s an excellent investment. Now that you know practically all you need to know about false lashes, which ones have you decided on? If you still haven’t made a decision, not to worry! 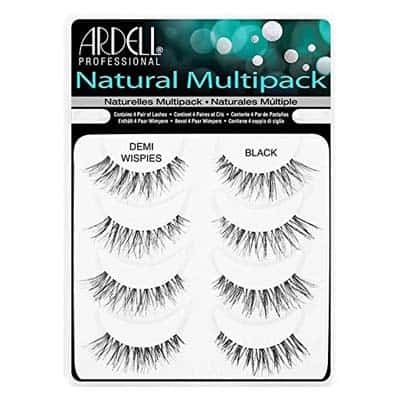 Our editor’s favorite is the Ardell Wispies Pack. They’re very lightweight and feel ultra comfortable; as if you’re not even wearing any! They look very natural, and just add volume and length to keep your eyes popping and people turning heads! Not only that, but they are very easy and quick to apply. They bend easily to conform to the natural shape of your eyes with ease, without having to trim the lashes or bend and twist them over and over again. Not only that, but they’re extremely affordable, and can be worn over and over again, with proper use. With that being said, it’s no reason they’re such a cult favorite among A-list celebrities and social media stars! So, which one of these best false lashes will be making their way to your arsenal?